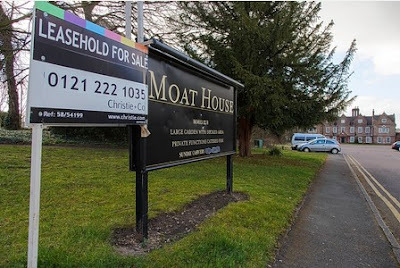 Fresh uncertainty surrounds the future of the Moat House, a Comberford family ancestral home on Lichfield Street in Tamworth, according to a report this week by Helen Machin in the Tamworth Herald [17 March 2016]. The Moat House on Lichfield Street in Tamworth, was built by the Comberford family in 1572. 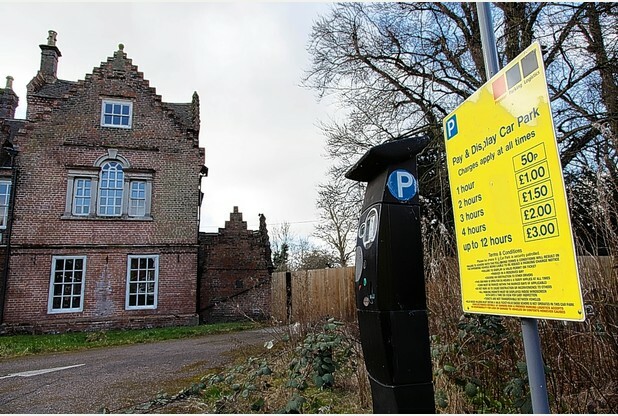 But this week’s report in the Tamworth Herald says a question mark hangs over the future of the Moat House just a month after plans were revealed to restore it to its former glory. The agents for the sale of the leasehold, Christie and Co, say that no deals have yet been struck, although the Tamworth Herald says several parties are interested in taking on the historic landmark building. According to the report those still keen on acquiring the Moat House include chef and businessman Peter Williamson and licensee Sam Dean, who have grand plans for the Grade II* listed building, including a massive renovation and eventually opening it as an hotel. Last month, the Tamworth Herald quoted Sam Dean saying the two men were about the sign the lease for the Moat House. This week, however, it transpired that no lease has yet been signed, although the two are still interested in taking on the building. Christie and Co said Williamson and Dean are among many interested parties who have registered an interest in the Moat House. However, the Moat House remains empty and in the meantime, the car park at the front of the house on Lichfield Street property has been converted to a privately-owned pay and display car park, charging with cheaper rates than the council-run sites. The Moat House, was built by the Comberford family in 1572. It is here the Comberford family played host to King Charles I when, as Prince of Wales, he visited Tamworth with his father, King James I, who stayed at Tamworth Castle. The Moat House was forfeited by the Comberford family during the trials and tribulations of the English Civil War in the 17th century, and was never recovered by the family after the restoration. Last month (11 February 2016) Helen Machin reported in the Tamworth Herald that the Moat House was expected to reopen this summer after the completion of the first phase of an ambitious renovation scheme that would restore the Comberford ancestral home to its former glory. The Grade II* listed property has stood empty since the end of 2014. But Peter Williamson and Sam Dean had ambitious plans that would see the Moat Hotel becoming an hotel within three years. The ground floor, featuring the bar, library and what used to be the carvery, were the first areas earmarked for improvements, which would include new flooring and redecoration. The ground floor was expected to reopen in June 2016, serving healthy food at the ‘mid to high’ end of the market and offering low-fat, low-sugar, gluten-free and vegetarian options. The first floor reception area and bar would be fully refurbished – including the restoration of the early 17th century ceiling in the Long Gallery, which tells in intricate heraldic designs the genealogy of the Comberford family. This first floor was expected to reopen in August. The third stage of the renovation would see the long-neglected top floor being converted to guest rooms and even a bridal suite. He had a vision for the first floor with an a la carte restaurant which the two business partners planned to name “Emily’s” after the ghost of a young girl who is said to haunt the building. It is said she died in a fire that was caused by a candle as she was locked in the tower by her father. 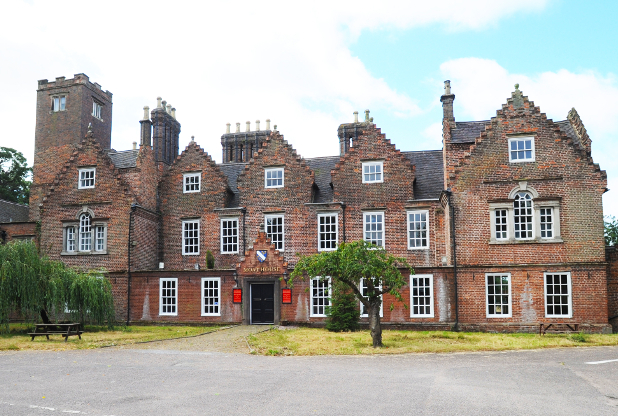 In the 19th century, the Moat House was used as a psychiatric asylum for women. In the 20th century, it has been a gentlemen’s club, a nursing home and a Berni Inn at different times.